There are a number of consequences to failing a polygraph exam which will not be disclosed to an applicant. Any United States Secret Service (USSS) applicant should review the following true case and consider refusing to take a USSS polygraph examination, especially with Special Agent Ellen Ripperger. Should an applicant decide to go forward with a USSS polygraph exam after digesting this information, they should be aware that USSS can always assign another examiner to administer a polygraph exam at the applicant’s request. Any experience the reader may have with Special Agent Ellen Ripperger may be substantially different than that described here, however two USSS Special Agents confirmed that the experience described here was far from unique. The applicant in question expressed gratitude to the two USSS Special Agents who contacted him after his exam, and are making continuing efforts to correct an injustice. It was not lost on this applicant the significance of two Special Agents choosing to support an applicant to their organization that they did not know personally, but who felt was treated improperly, over that of one of their fellow Special Agents whom they both felt did not behave ethically. When anyone takes a polygraph exam with any federal agency including the USSS, a recording is made of the entire exam. In fact, all modern Commercially Available off the Shelf (COTS) polygraph software utilized by federal agencies has both video and audio capability built into the software. The applicant will be told that the recording is made to protect both them and the Special Agent administering the exam. However, in this instance, the applicant was not provided a copy of the audio recording when they alleged that something illegal, improper, or unethical happened during their exam. The recordings have been routinely produced however to exonerate a Special Agent accused of any wrong doing during an exam. Even a FOIA request may not yield the release of the recording of an exam, and if it does anything useful will probably be redacted, and its release will take years after which any time limits for legal remedies will have long expired. In this instance, a judge ordered the release of the audio of the polygraph exam in question which the USSS vigorously fought to suppress under “law enforcement investigatory privilege.” After the USSS objection to providing the recording was overruled, the USSS provided the audio files that supposedly contained the sought after recording. However, the audio files provided by the USSS were virtually blank and contained nothing of any use or significance. Only a few minutes of the approximately five-hour-and-thirty-five-minute polygraph examination were audible. The polygraph examinee was contacted by two individuals who identified themselves as USSS Special Agents. The agents made clear they knew intimate details of the applicant’s exam. One Special Agent told the applicant the audio file of his exam had been destroyed when he filed a complaint. Another Special Agent told the applicant he had ethical issues with how his exam was conducted. 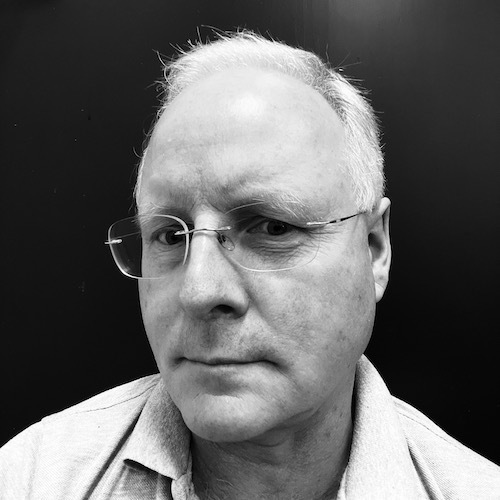 Despite an affidavit from Danny Seiler, a former Supervisor Sergeant and Polygraph Examiner for the Maryland State Police which stated “Since 1991 in the approximate 2,500 polygraph examinations that I have given, the microphones have never failed to record the exam; nor have the exams not been recorded for any other reason”, the Judge ruled against the applicant when a default judgment was requested based on the illegible polygraph audio files and chose to accept the USSS explanation that a faulty microphone caused all the pertinent areas of the audio recording of the polygraph exam to not be recorded. A complaint was sent to the Department of Homeland Security Office of Inspector General (DHS OIG) John Roth (attached) requesting they investigate the Possible Destruction or Tampering of Evidence Utilizing of Government Information Technology Systems by the United States Secret Service. Multiple inquiries by Senator Chris Van Hollen finally revealed that DHS OIG chose not to investigate this matter, but instead referred the matter back to the United States Secret Service Office of Professional Responsibility. Despite significant evidence submitted to DHS OIG that either the crime of perjury by a USSS Special Agent, or the destruction of evidence by USSS had more likely than not been committed by the USSS, DHS OIG chose not to investigate the matter. Since DHS OIG has refused to investigate this matter, follow up requests for investigation of this matter have been sent to the Department of Justice, the Office of Government Ethics, and a second request to the new acting DHS OIG Inspector General John Kelly articulating concerns about how the former Inspector General John Roth of DHS OIG choose to handle this matter. Updates with information pertaining to this case will continue to be posted to this thread so that others may have the ability to make an informed decisions about submitting to a process which carries the risk of long term negative career implications even when the applicant is innocent of any wrong doing. There is a witch hunt within the USSS regarding this matter, which may hinder the ability to post new information in a timely manner. Thank you for sharing this information, which the public has an indisputable right to know. Might you be able to provide a copy of any video or audio recording and/or transcript of Special Agent Ripperger's and Special Agent Edward Alston's depositions? USSSWARNING, how can I get in touch with you? This is not the first time this has happened with SA Ripperger and I can prove it. Be prepared to retain your own counsel and submit a signed affidavit for the court to review. 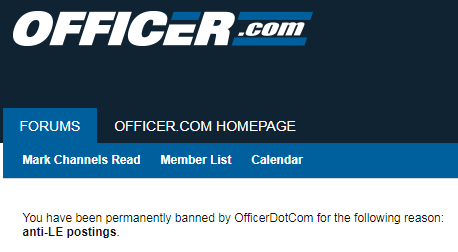 This post was censored on the Officer.com forums on ~ July 20, 2018, despite the fact it did not violate forum rules. If you feel it should not have been censored, leave them a message here (https://www.officer.com/contact-us). The original post made on January 16, 2018 is not archived on Google, but is attached to this post as file “USSS Applicants Consider Refusing a Polygraph Exam from Special Agent Ellen Ripperger - Police Forums & Law Enforcement Forums @ Officer.com Page 1 Original”. It indicates at that time the post was reported to the moderators and asked to be removed, but the moderators found it met the rules for posting, which it did. Many of the comments posted to the thread speak volumes with regard to the individuals making them in terms of their value on the importance of ethics, their intelligence, and a near institutional mindset to accept the misconduct of law enforcement officers without question. It represents the increasing distrust of Law Enforcement, and serves only to drive the incorrect stereotype that the majority of police officers are dishonest, arrogant, dumb, and break the laws with impunity that they are paid to enforce. Shortly after the Original Version was posted, the moderators did later remove 8 of the 15 posts (many of them derogatory posts about the author), but left the original information intact. This version is archived on the web here (https://webcache.googleusercontent.com/search?q=cache:eq2WwKpLegoJ:https://forum...) and attached as: “USSS Applicants Consider Refusing a Polygraph Exam from Special Agent Ellen Ripperger - Police Forums & Law Enforcement Forums @ Officer.com Page 1 After Censor.pdf”. The post remained up for 7 months until the author shared more information to refute skeptics that no malfeasance had occurred. It demonstrated beyond a reasonable doubt that either perjury was committed by USSS personnel or evidence ordered produced by a judge was destroyed. The post was then removed in its entirety. One must ask why, and why now? Why was the post up for seven months and found not to violate the terms and conditions until after the new evidence was posted? If a new post was problematic, why was it not simply deleted from the thread as others had been? The most logical answer is that someone very powerful told them to remove it, or there would be consequences. The archived post can be viewed here (https://webcache.googleusercontent.com/search?q=cache:yliDWvJ8SE8J:https://forum...) and is attached as “USSS Applicants Consider Refusing a Polygraph Exam from Special Agent Ellen Ripperger - Police Forums & Law Enforcement Forums @ Officer.com Page 2”. The real question becomes could this really have happened? Did the United States Secret Service really have personnel either perjure themselves or destroy evidence (an audio recording of a polygraph exam) to hide what actually goes on during a polygraph exam, and what is typical behavior toward people who undergo a polygraph exam?
) and is attached as “WRRI-I15-USSS-SID-01777-092217_0.pdf”. Illegal and unethical behavior is articulated as the norm at the United States Secret Service in this article on Federal News Radio located here (https://federalnewsradio.com/tom-temin-commentary/2015/10/dhs-ig-unloads-widespr...) which references this report here (https://www.oig.dhs.gov/assets/Mga/OIG_mga-092515.pdf) and attached as “OIG_mga-092515.pdf”. The judge who originally ordered the USSS to produce the Audio Tape of the polygraph now seemingly has had a change of heart. When the tape produced by the USSS was corrupted, she found it plausible that this could be an accident despite the fact that for this to happen it would have had to be a black swan event (See Post #16 on located on the cached version of Page 2 on the officer.com forums located here). Even more concerning, she wants to rule on the case before OIG concludes its investigation on if evidence was in fact destroyed by the government that was ordered to be produced under discovery for the plaintiff. The rush to dispose of the case only occurred after public posts were made about the case; prior to that she had no issue sitting on the case for years.) It is hard to believe that this could occur in the United States of America, but it is; and it will keep occurring, because no punishment is ever inflicted on those who are corrupt. America is now little better than a third world dictatorship when it comes to corruption. The post is up for 7 months but suddenly the user is banned for "anti-LE" postings. Makes one think who pressured them to do so. Especially given only the facts were stated. When the truth isn't to your liking, or supports your narrative, simply suppress it. AntiPolygraph.org has obtained a redacted copy of the 13 December 2014 "Formal Complaint of Discrimination" that preceded the DHS OIG complaint attached to the original post in this message thread. It is attached to this post. Note that the complainant is not a typical entry-level U.S. Secret Service applicant, but rather an experienced electrical engineer who was applying for a senior (GS-15) management position and came recommended by the Secret Service's own Chief Information Officer (CIO). It seems clear that the Secret Service used the polygraph as a pretext for blackballing the applicant because he was receiving treatment for obsessive-compulsive disorder (OCD). We have also obtained a redacted copy of a 4 October 2016 affidavit by retired Maryland State Police Supervisor Sergeant Danny Seiler, who reviewed U.S. Secret Service polygraph operator Ellen Ripperger's polygraph examination of the applicant. It, too, is attached. The U.S. Secret Service's Polygraph Branch appears to be corrupt to the core. The malfeasance and indeed, criminality, documented in the attached complaint and affidavit extend not only to Special Agent Ripperger, but to her supervisors as well, and provide context for the cynical slogan "LET THE MINDGAMES BEGIN" that is emblazoned on the Polygraph Branch's challenge coin. AntiPolygraph.org has obtained minimally redacted copies of the 18 October 2016 depositions of U.S. Secret Service polygraph operators Ellen Ripperger and Edward D. Alston. They are attached to this post. p. 36: Ripperger lied under oath when, upon being asked "how does [the numbers test] factor into the rest of the polygraph process?" she answered: "We want to see what the individual's physiology looks like when he tells a lie, so we ask him to lie at number four." Ripperger told the same lie that polygraph operators routinely tell examinees about the rationale for the numbers test (or stimulation, or "stim" test). It's actually intended to "sell" the polygraph to the examinee and convince him that the polygraph can detect the slightest hint of deception. p. 68: "There's inability to maintain a baseline in the breathing, which, what we're seeing here is consistent with countermeasures." pp. 70-71: "At 1B on page 57, you have convergent and divergent pneumographs. This is consistent with countermeasures." p. 78: no changes to polygraph protocol due to examinee's disclosure of medications and OCD. p. 111: "...I don't believe denials when I have a failing polygraph result." p. 116: No periodic polygraphs for USSS employees. p. 144: "I said I was certain of my results. What I wasn't -- or what -- countermeasures -- we can't specifically say countermeasures on a report unless we get an admission of countermeasures, or at that time we couldn't. A The policy has changed, yes." p. 18: Alston was almost certainly lying when he denied knowing what the policy at Security Management Division (SMD) or Security Clearance Division (SCD) is regarding whether a failed polygraph precludes one from Secret Service employment. p. 20: Alston was almost certainly lying about not understanding what "better qualified applicant" (BQA) means. It means that some other, "better qualified applicant" was given the job. p. 47: Alston didn't actually know what LEPET stands for (Law Enforcement Pre-Employment Test). He thought it was Law Enforcement Placement Test. pp. 54-55: Alston essentially admits that the question about medications is not needed for purposes of conducting the polygraph exam. AntiPolygraph.org has obtained minimally redacted copies of six documents associated with the case of an applicant for a GS-15 information technology position with the U.S. Secret Service who received treatment for obsessive compulsive disorder and whose application was rejected following an allegedly failed pre-employment polygraph "test." Most of the audio recording of the polygraph session provided to the complainant and the administrative judge is incomprehensible. On 20 August 2018, administrative judge Antoinette Eates granted a U.S. Secret Service request for summary judgment against the complainant, despite the fact that the circumstances surrounding the defective audio recording are the subject of a pending U.S. Department of Homeland Security Inspector General's investigation. 6. Appeal of a Decision for Summary Judgement to the United States Secret Service Without a Hearing dated 19 September 2018. The last document is of particular interest.